Shooting targets that burst on impact with a bright white splatter effect. BIGGER BURSTS! Thompson's new HALO reactive splatter target technology bursts bigger than competing brands giving you greater visibility from down range. HALOTM reactive targets provide the maximum visibility even at long range. Every shot is marked by a high contrast halo for immediate and clear feedback on pistol and rifle shot placement or shotgun pattern. HALOTM shooting targets are made with a thicker high quality cardstock and printed with dense black ink to create more of the desired splatter effect. 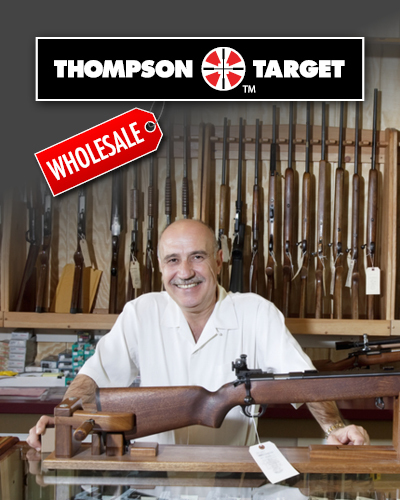 They're also designed for every shooting application from life-size human silhouette training to rifle scope zeroing. 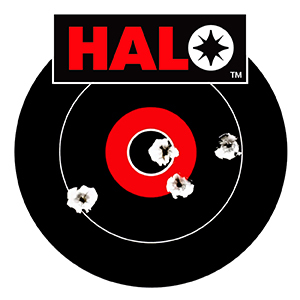 HALO Bullseye 8" Reactive Shooting Targets - 8.5"x11"
HALO Bullseye 10" & 4" Targets - Reactive Splatter 12.5"x19"
HALO Scope Alignment/Sight In Shooting Targets - Reactive Splatter 12.5"x19"
Bullseye 10" & 3" Targets - HALO Reactive Splatter 12.5"x19"
Human Silhouette Targets - HALO Reactive Splatter 8.5"x11"
Scope Sight In Targets - HALO Reactive Splatter 8.5"x11"
Life-Size Deer Vitals Targets - Reactive Splatter 12.5"x19"
HALO Bullseye 6-4" Targets - Reactive Splatter 12.5"x19"
HALO Checkers Shooting Game Targets - Reactive Splatter 8.5"x11"